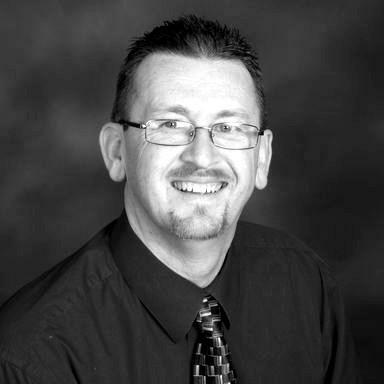 Jonathan Orwig - a talented organist with the talent, skills and flexibility necessary to make it in the 21st century! I first noticed him for the unusual repertoire that he uploaded. It's always a good and healthy thing to allow ourselves to be open to something different from what we ourselves know or play. It's certainly been a good thing for me, as some years ago, I was probably too "narrowly Anglican" for my own good. I started becoming friends with Jonathan just by responding to upload comments, and of course, we would often chat if we both happened to be on the Concert Hall at the same time. Soon we knew quite a bit about each other's lives, families, careers, etc., and we'd each made a new friend! Jonathan is a very generous and caring guy, and quite frequently, I'll get an email from him with some "new" and "rare" pdf's attached! I certainly appreciate them, and like him, I like to play the "unusual" stuff. One of the things that I admire about giwro is his flexibility and openness. I like to consider myself as being flexible, but I have to admit that my flexibility is still pretty much only in my "comfort zone" and no further. Jonathan is a guy who is not afraid to "step out of the familiar" and try new ideas, while always retaining his need for quality and his personality as a "classical organist". 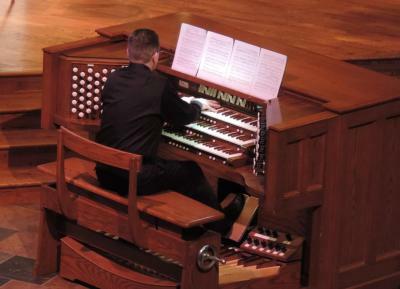 He's the kind of guy who can and will survive as an organist in the 21st century. "I've been involved with Hauptwerk since late 2002 - I emailed Martin and offered to produce a sample set if he would give me a free copy... which he did! I had been using Gigasampler as a pipe organ emulator (I actually have a copy of the GS version of the Schyven organ!) and really wanted something more like a real organ. I played with the software for awhile and then in 2004 started recording the Schantz at First Baptist Riverside. My goal at first was to raise enough money to go to the AGO convention... FBR has been on sale for 11 years and has long since eclipsed that original goal. In 2006 I updated FBR for the next version of HW." "For me, HW has been a dream come true - especially as a composition and learning tool. I am able to compose at my desk and instantly hear idiomatic sounds at tempo without running off to the church. For learning, I started using Hauptwerk to produce MIDI renditions of repertoire I was thinking of learning - I found that it not only helped me decide whether or not to learn an unfamiliar piece, it also was a great exercise in analysis, as by inputting all of the notes I became very familiar with the form of the piece. It also allowed me to begin shaping an interpretation before I ever sat down at the console. There are also some pieces I have sequenced simply because I know I'll never learn them (for example, Falcinelli's "Mathnavi!") "
"I've also enjoyed the process of sampling an organ - it requires a lot of critical thinking as well as artistic sensibility, and that feeds my soul." "I'm still working to complete my home console - right now the only thing working are the manuals, so if I record, I have to do it at church on the Allen, which is also hooked up to HW. It makes the old 1989 beast sound almost respectable." "We have 4 services, so it really would be difficult to do all of them myself. In addition to my supervisory role, I plan worship, write liturgy and sing tenor in the choir. I play keyboards/drums/guitar for the contemporary service, lead when our worship leader is gone, and serve as the church webmaster and onsite IT person. In addition to that, I also own Evensong Music, Media and Graphics sells both sheet music as well as my sample sets for Hauptwerk". The Concert Hall? Well, he feels that it is, a wonderful place to hear great players and learn of new music, as well as share my obscure finds. "I've made a lot of great friendships and had hours of enjoyment both listening and sharing as well as some very spirited dialogue". "The wet version of the Wangerin is progressing finally... my move from Madison to here really put a wrench in my plans and I sort of lost momentum. As of now I am about 1/4-1/3 done with it. I wish I could give a firm date for completion, but I'm getting about 4-6 stops done a week, and we are talking of an organ with about 40 independent stops. In a perfect world I'd have it done by the end of October, but I'll make no promises. Barring any unforeseen nuttiness in my life, certainly by the end of 2015. I do have a lot of the non-essential stuff automated finally, but things like listening to loop quality and setting release points still has to be done by hand/ear to get it right". "Editing samples is a long process! Basically speaking there are 3 files to start: Sustain, Portato release, and Staccato Release. Each file has either 61 or 32 notes (Manual & Pedal respectively). After de-noising, each file must be properly split - I have a program that finds the silent passages and splits the files, saving them to a new name. Then I have written a batch file that renames those files to HW convention. Using the HW Stop prep tool, Pitch is recognized and stored in the Sustain WAV files (NOT retuned, as the pitch must remain the same so it matches the releases, which are too short to pitch-detect), beginning and end of each sample is trimmed and a 3 millisecond fade applied to both (avoids any clicking artifacts in HW). The portato and staccato files are also split and renamed, the trimming/fading there is done by a batch process in Sound Forge. "Loops are created in the Sustain samples, some files are not loopable, so they must be replaced by a retuned neighbor note (and one must remember to also retune the neighbor note's 2 release files and rename, as the release must match the timbre and amplitude of the sustain note as well as the position of the pipe). All loops are checked for integrity (no clicks, undue wobble, or artifacts) and any bad loops are discarded. Release markers are set in SoundForge (this must be done by hand/ear so it sounds right.... there is not a really accurate way to do it automatically)." "Releases are set in the portato and staccato files. Pitch information in the Sustain samples is batch-copied to the release and portato files. Samples are copied into the correct directory, ODF is edited to reflect the change. The stop is loaded in HW to check for errors. Wash, rinse and repeat until you have done all of the files for all of the stops. 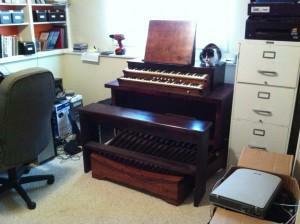 Then, the finished organ goes to beta testers whose job it is to find any mistakes I've made or things I have missed. When one works on samples for hundreds of hours, it is easy to suffer ear and mind fatigue, so it is essential to have others testing for you." "This is really mostly just telling you about sample prep - there is also the ODF and GUI creation, which involves writing the code so HW can know what to do with the samples, and either creating the graphics from scratch, or taking a LOT of photos. Sometimes, it becomes a mixture of both! Creating a sample set is not for the faint of heart, and to do it well requires patience, precision and dedication to detail. I don't complain about prices that other samplers charge, as I know how much work it takes to get it right. Along with all of the fussy details, one really should avoid the temptation to "correct" too much of the organ (speech deficiencies, volume, etc) as if you do, the end result can be in danger of sounding sterile or too much like an over-processed mass-produced digital organ." I know that I would never have the skill or patience to do work like this, but fortunately, Jonathan Orwig and other sample set producers do, and, so, this thing we call Hauptwerk continues to flourish and expand. How fortunate are we, the organists of this generation, that may and enjoy and grow from what we hear and learn! In closing, I'd just say THANK YOU, Jonathan, for being the person you are. It is a pleasure and privilege to know you and call you my friend!